Notice: When replacing your trampoline mat, it is a good time to inspect all trampoline springs. 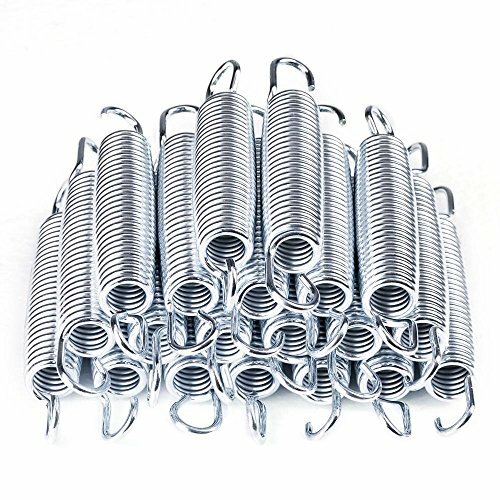 Trampoline springs that are over-stretched, loose or have damaged hooks should be replaced for your safety. You will take a spring OFF of the trampoline, make sure that it is fully recoiled and measure it from hook-end to hook-end.